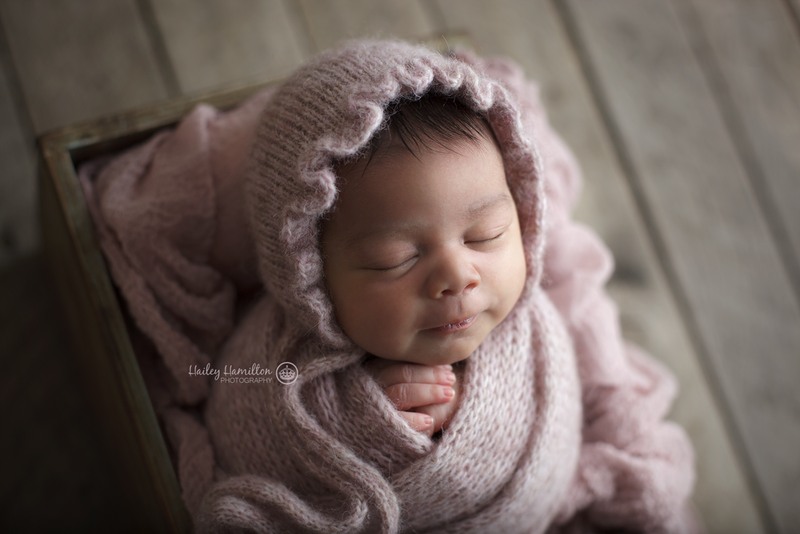 This beautiful girl came to my studio for newborn photos in January. I was amazed at how sleepy and cooperative she was! I will usually use just one main color for my sessions and mix it with neutrals like beige, cream or grey but for this session I mixed colors! Doesn't it look great? I actually had some new items I wanted to use and they didn't coordinate at all so I did two separate setups for peach and mauve. Are you expecting a baby in Calgary or surrounding areas? 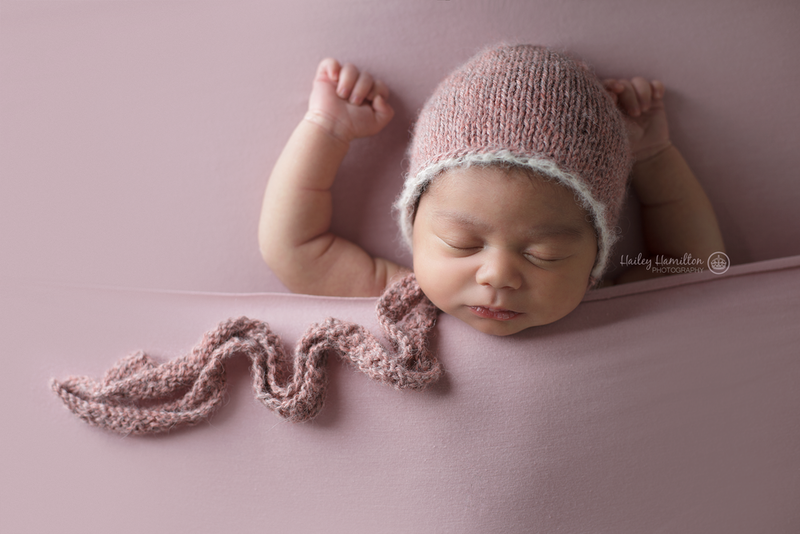 It's never too early to book your newborn session. Newborn photographers' schedules can fill up quickly so it's a good idea to book your baby's portrait session in advance. Whether you're not due for a while, or baby has already arrived, I'd be happy to chat with you about you about newborn or baby photography. Feel free to contact me here. Join my new VIP group for special offers, limited edition sessions and opportunities for your newborn to model for a posing class. The collage above is an example of just some of the poses that would result from a full newborn session. Depending on baby's cooperation, sessions will usually last 2-3 hours. If you book a newborn family session, I schedule additional time to allow for parent posing, sibling posing, and family posing with baby. You are encouraged to be photographed! Moms, you won't always feel like being in front of a camera (I certainly didn't after my son was born), but do it for your child. I promise you, one day your children with cherish these family portraits. Now that my own mother is gone, I wish that I had more family photos of us. My beautiful commercial studio is located in SE Calgary and I'd love to have you visit for a studio tour. Please ask! Feel free to email and request my client guide for more information about my newborn sessions, pricing, digital images and printed portraits. 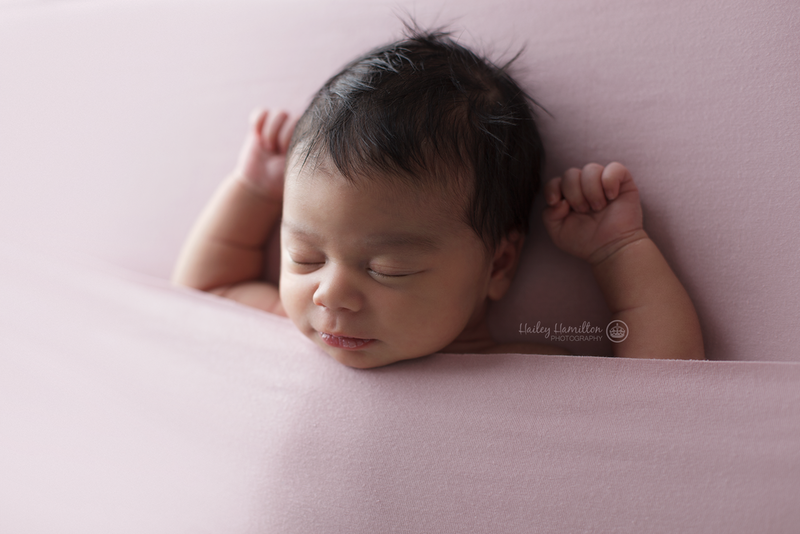 You should only trust your baby with an experienced and insured professional newborn photographer. Your baby's safety comes first!